Calderdale Locksmiths Calderdale Locksmiths provide emergency and standard locksmith services in and around Calderdale. 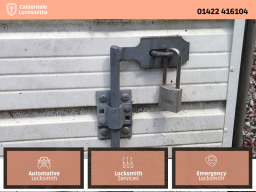 All our locksmiths are professionally trained and insured. 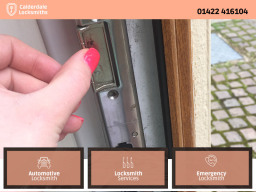 All work is carried out using the latest locksmith tools and technology which allow us to to provide the highest level of service. We offer great value, local prices to residents and businesses all over Calderdale, including Halifax, Brighouse, Todmorden, Elland and more. Call us on 01422 416104 to find out more.